Obviously everyone uses both sides of their brain to function, but often one side will be more dominant than the other (I like to think of it as being on a continuum). These differences result in different learning strengths and timetables which greatly affect how a person learns. Visual-spatial learners are individuals who think in pictures rather than in words. They have a different brain organization than auditory-sequential learners. They learn better visually than auditorally. They learn all-at-once, and when the light bulb goes on, the learning is permanent. They do not learn from repetition and drill. They are whole-part learners who need to see the big picture first before they learn the details. They are non-sequential, which means that they do not learn in the step-by-step manner in which most teachers teach. They arrive at correct solutions without taking steps, so “show your work” may be impossible for them. They may have difficulty with easy tasks, but show amazing ability with difficult, complex tasks. They are systems thinkers who can orchestrate large amounts of information from different domains, but they often miss the details. They tend to be organizationally impaired and unconscious about time. They are often gifted creatively, technologically, mathematically or emotionally. Most schools and curriculum approach learning in a very sequential, left-brained manner and use timetables that do not match with the normal development of the right-brained learner. 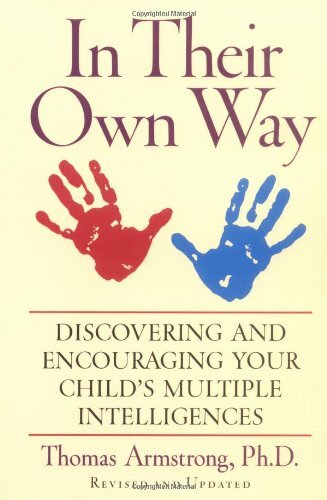 Learning more about the natural strengths and having accurate develomental expectations of your right-brained learner will help reduce frustration (for both of you) while also helping your child learn in a way that makes sense to him. How Do I Know If My Child Is a Right-Brained Learner? Is Right-Brained Learning a Learning Disability? The right-brained learning style is most definitely not a disability…it is merely a different way of learning. One that many people are not familiar with. Our society and most educational models primarily value a left-brained way of learning. Right-brained kids, especially in the early years in school, often struggle and assume that it must be because they are “dumb”, not realizing that their struggles are caused by teaching methods and timetables that are contrary to their natural learning style. They are square pegs which schools try to force into their round holes. Right-brained learners are often misunderstood. Since they are obviously bright, yet struggle with the “basics”, they are often seen as “lazy” or as “not living up to their potential”. Right-brained learners also often find themselves with a host of labels such as dyslexia, dysgraphia, discalculia, ADD, or ADHD. 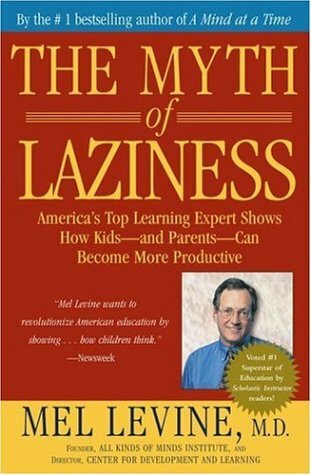 Right-brained learners often find themselves “struggling” in school, not because they are learning disabled, but because they are being forced to learn on what is, for them, an artificial timetable, using approaches that are weighted heavily towards left-brained strengths (memorization, sequential learning). For more on this topic, read Natural Learning Development for Right-Brained Children by Cindy Gaddis. Why Do Right-Brained Kids Seem to Struggle? The “struggles” that many right-brained kids go through are actually a result of a mis-match in expectations and approach plus not understanding their learning style. Traditional school approaches teach things from a very left-brained perspective which works against the right-brained child’s natural way of learning. Right-brained kids are global thinkers which means that they are “whole to part” learners. Traditional teaching approaches tend to focus on sequential skills (such as phonics) which approach things in a “part to whole” approach. This sequential approach goes completely counter to the way our right-brained kids think. Right-brained kids learn better in context…they learn their math facts better by using them than by doing drill or worksheets. Since they are global thinkers, they often just “know” the answer but struggle with “showing the steps” or explaining the process they used. They are often very good at mental math. Jason used to completely balk at doing worksheet problems but had no problem figuring out how much allowance he was supposed to get (which often needed the same borrowing/carrying skills). I used these moments to help me remember to breathe and remind me not to stress. So in a nutshell, many right-brained kids are struggling because they are being taught in ways that actually go counter to how they learn, on timetables that do not match their natural development. You would too, wouldn’t you? The problem is not with the child, but with the approach. Learning more about how right-brained kids naturally learn and when they are developmentally ready can make a huge difference in reducing the struggles for our right-brained kids. Where Can I Learn More About Right-Brained Learners? If you see your child in this description, then you will want to check out Cindy Gaddis' book The Right Side of Normal (due to be published Fall 2012). In the meantime, Cindy has a lot of information on The Right Side of Normal website. Cindy also runs a very informative email list that discusses homeschooling these creative kids called Homeschooling Creatively (I'm also a moderator). Cindy was the person who first suggested that I look into learning more about right brained kids and we have since become extremely good friends for which I am eternally grateful. Linda Kreger Silverman’s book Upside-Down Brilliance: The Visual-Spatial Learner is a very good overview of visual-spatial learners and how they learn differently then what is traditionally taught in schools. This book gave me a lot of insight into Jason’s learning style. The only thing that I don’t like about the book is the emphasis she puts on IQ testing…even though she admits that testing does not always give good results with right brained kids. She also focuses on highly gifted kids and that can be intimidating (especially if your kid was not making maps of the neighborhood at age 2.) But that is her main background, so she spends a fair amount of time on the subject. There is definitely enough good info in the book to make it worth reading though. 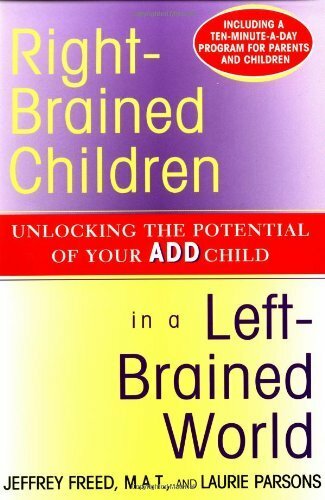 Another good book with practical suggestions for helping right brained learners learn is Right-Brained Children in a Left-Brained World: Unlocking the Potential of Your ADD Child by Jeffrey Freed. 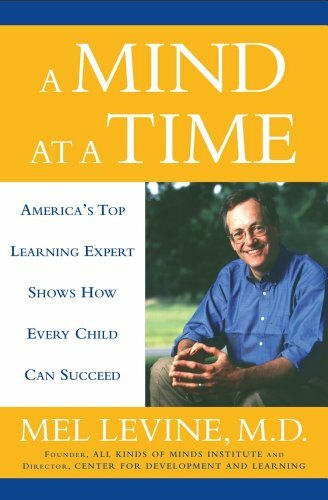 Although it is subtitled Unlocking the Potential of Your ADD Child, this is more of a book about right-brained kids then it is about ADD (Freed makes the point that most ADD kids are right brained and that is the type of kid he worked most often with). Jason does not have ADD but I found much that was applicable to him in this book. It really helped me better understand how Jason thinks. I have also created a Right-brained Learners book list that has additional titles that have been helpful to me. And last but not least, I have also collected links to articles and online resources that are helpful. I talk about right-brained learning mostly because of the huge difference having this knowledge has made in helping me understand Jason and how he learns. I also feel that right-brained learners are very often misunderstood. Since they are obviously bright, yet struggle with the “basics”, they are often seen as “lazy” or as “not living up to their potential”. Right-brained learners often find themselves with with various labels such as dyslexia, dysgraphia, ADD, or ADHD. Despite not usually being developmentally ready until somewhere between 8 and 10 years old, they are often pushed into early reading, most often using phonics, an approach that does not always make sense to them. They find themselves “struggling” in school, not because they are dumb, but because they are being forced to learn on what is (for them) an artificial timetable, using approaches that are weighted heavily towards left-brained strengths (memorization, sequential learning). Yet when a right-brained learner is taught in a way that values and honors his strengths and on a timetable that is right for him, he thrives and more than lives up to his potential. It is my desire to help others recognize and understand right-brained learners. So you will see a lot of references to it here on Throwing Marshmallows. Do you have to know for sure if your child is a right-brained learner? No. Cindy Gaddis, who introduced me to right-brained learning, did not have a “label” for how her children learned when she started homeschooling. She was able to “learn at the feet of her children” by valuing who they were and following their lead, regardless of society’s expectations. And many people (often right-brained themselves) intuitively understand and can meet the needs of kids who learn in this way. But for some of us, the “label” and accompanying knowledge is incredibly helpful and reassuring. Especially those of us who learn very differently! I have written some about our personal journey with my right-brained son, Jason. I am always amazed at how often people can relate to our story and recognize their own child(ren). They are often surprised to hear that there are other kids who think as theirs do. I have also compiled a collection of links to good articles, blogs and email lists for learning more about right-brained learning. Be sure to check out my Right-Brained Learning Book List for books that might help better understand how these kids think. 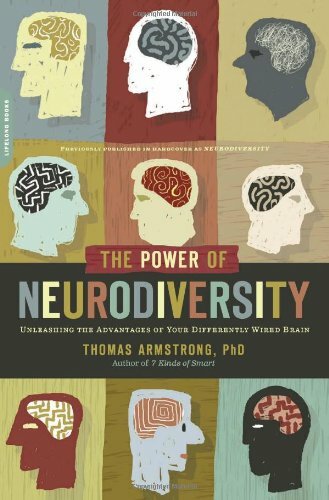 While there are no books that focus specifically on homeschooling and right-brained learning, I have been able to glean a lot of insight from these books. As always, take what works and leave the rest. And be grateful that we do not have to help our kids learn coping mechanisms for fitting into a school system that does not meet their needs (or fight to get accommodations for them). Cindy, in addition to her blog, also has a right-brained learners email list, called Homeschooling Creatively, that is an incredible resource for sharing with others who are homeschooling these creative kids. Cindy Gaddis is an incredible source of information about right-brained learning. Her book, The Right Side of Normal is due out in Fall 2012. She has developed a Collaborative Learning Process based on the learning and developmental stages that she observed while homeschooling her children. Cindy's website. Lots of right-brained learner information as well as links to outlines of her Right-Brained Learner conference talks and information about her upcoming book, The Right Side of Normal. Email list moderated by Cindy and myself for those who want to learn more about homeschooling these wonderfully creative kids. Come talk with other parents about the joys and as well as the more challenging aspects of homeschooling right-brained learners! Provides information about the normal developmental timetable of right-brained kids. This timetable is often at odds with more traditional learning timetables and expectations which often results in it looking as if right-brained kids are "struggling." Cindy's take on learning ages and stages. Wonderful resource for understanding "normal" timetables for right brained learners (which will often be different than "typical"). Especially useful for parents whose right-brained kids have been in school or seem to be resistant to teaching. Mulitple articles on various aspects of visual spatial learning. 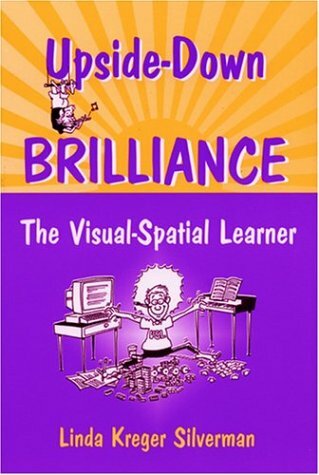 Articles and resources for understanding Visual-spatial learners. An article I wrote for the VaHomeschoolers Voice. Discusses how to encourage a "relationship with reading" with late (and reluctant) readers. Things that parents can do to support right brained leaners on their path to reading. Discusses why and how programs such as 100 Easy Lessons and Bob books can work for right brained learners. How visual books like comic books can benefit our creative kids and should not be considered "twaddle." How does silent reading compare to reading out loud for right-brained kids in the early years of fluency? Is Right-Brained Learning a Disability?